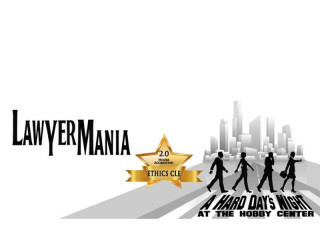 Lawyermania: A Hard Day’s Night is a musical comedy benefiting Houston–area legal charities. This Beatles-themed original show is written and performed by Houston lawyers and judges. Enjoy a day in the life of the Mad Men Ad Agency as they "Help!" British law firms invade the Houston legal scene in a raucous, Helter Skelter Magical Mystery Tour of Beatles’ songs and '60s culture.